The rules for EU citizens and non-EU citizens for living and working in France are very different. We’ll concentrate on the rules for non-EU citizens here, in particular, the requirements for citizens of the USA who are moving to France. France is very accepting of new residents. However, the visa and residency processes are complicated and lengthy, and you need to be prepared with all your documentation. If you do not speak fluent French, you may need the assistance of someone who is fluent. It may also help you to have notarised translations of some, or all, of your documents into French. You will certainly need the essential documents translated before applying for more permanent residency in France. As you are moving to a predominantly French speaking country you should learn French as soon as possible. If you are taking a job in France you will likely need to prove your fluency and speak French to be successful in your new job. You will also need to be able to read and write in French. There are some strict rules for France about when, and how, to apply for visas. The rules may change over time, so it is always prudent to check current information for French visa requirements. You cannot visit France on a short-stay or tourist visa and then upgrade it while you are in France. If you are planning to stay in France for more than 90 days, you must apply for your visa while you are still in the US. You will need to visit your nearest French Consulate and apply there. There is not one in every state. A list can be found here. As a citizen of the USA you can visit France for up to 90 days without having a visa prior to entry. 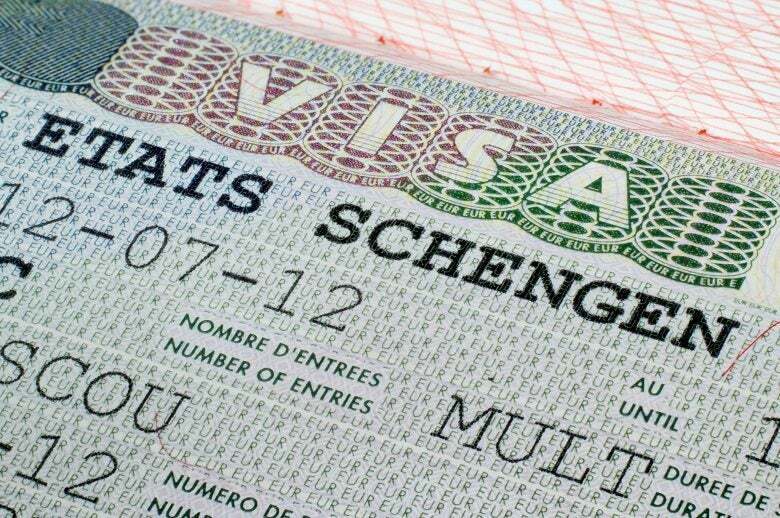 To stay longer you will need to apply for a long-term French visa (visa long de sèjour). You cannot enter France on a short-stay visa then extend it to a long stay visa. You must apply for a long stay visa from within the USA only. Long stay (non-work) visas are usually for 12 months. You will need to apply at your nearest French Consulate in the USA. To do this you must have the required documentation, complete a long-stay application form, and then present your application in person, by appointment. You will then have an in-person interview before your visa is granted. If you are looking to move to France, but will not be working, you can use this visa. You will need to provide extensive documentation showing that you can support yourself in France, your reasons for visiting or moving, proof of your accommodation, and proof of your medical insurance. You can then go on to apply for a permanent residence card (carte de séjour) later. Here is an outline of the full process at the Consulate General of France in Washington. You will need to consult the website of your nearest French Consulate. To obtain a work visa you need to have a job in France first. Your new employer in France will then draw up a work contract and will file an application to their local Labour Office. They must include your family on this application. If it’s approved, it will be sent to the French Office of Immigration (OFII) to obtain your work permit. Once your permit is endorsed by OFII it will be sent directly to your applicable (nearest) French Consulate who will be responsible for issuing your visa. You will need to visit the French Consulate for an appointment in person, with any family members who will move with you, to apply for your long stay visa. Here is an outline of the long stay work visa process at the Consulate General of France in Washington. You will need to consult the website of your nearest French Consulate. Full information on visas and professional immigration for France, including the latest updates and skills requirements and specialist routes for the highly skilled, scientists and other professionals can be found on the Ministry of the Interior, Immigration, website for France. For a student visa you will need financial guarantees, proof of enrolment, and documents from Campus France. It takes about two weeks to apply, and again you will need to do this via your nearest French Consulate in the US, once you have an “attestation” from Campus France. You must apply in person at the French Consulate office via a pre-arranged appointment. Here is an outline of the student visa process at the Consulate General of France in Washington. You will need to consult the website of your nearest French Consulate. Students between the ages of 17 and 30 can apply for an au pair visa. You’ll need an “au pair contract” approved by the French ministry of labour, an invitation from your host family, proof of studies in the USA, and a letter of admission from a French school before you apply for your visa at your local French Consulate in the USA. You must not leave the USA until your visa has been granted. Again, an example of the Au Pair visa process can be seen at the Consulate General of France in Washington website. You will need to consult the website of your nearest French Consulate. It is not possible to apply online for a visa for France. You must apply in person via your nearest French Consulate in the USA. On your nearest French Consulate website, you can find the full requirements for documentation required which you can prepare, along with an application form, before your visit to the consulate. Consulate visits are usually by appointment. We would recommend fully investigating ALL procedures with the French Consulate in the USA, and contacting them to discuss any individual needs.